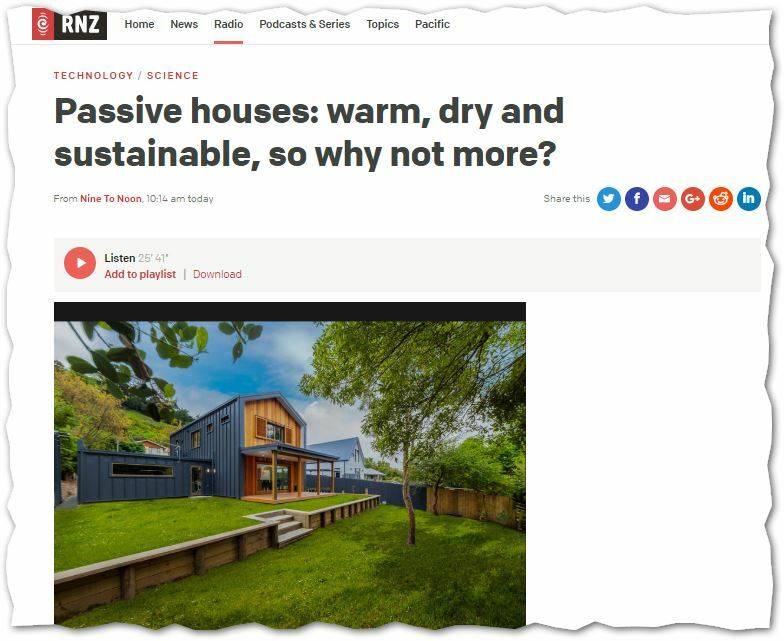 07 February 2019 RNZ: Passive houses: warm, dry and sustainable, so why not more? | Sustainable Engineering Ltd.
Library 07 February 2019 RNZ: Passive houses: warm, dry and sustainable, so why not more? I really enjoyed meeting Kathryn Ryan and being on Radio New Zealand. Wish I’d spoken a bit slower but I was very excited. Next time I’ll spend more time on retrofitting to Passive House and how prefabrication and education could scale Passive House to meet all of NZ’s building needs. Also forgot to take a photo – maybe next time.